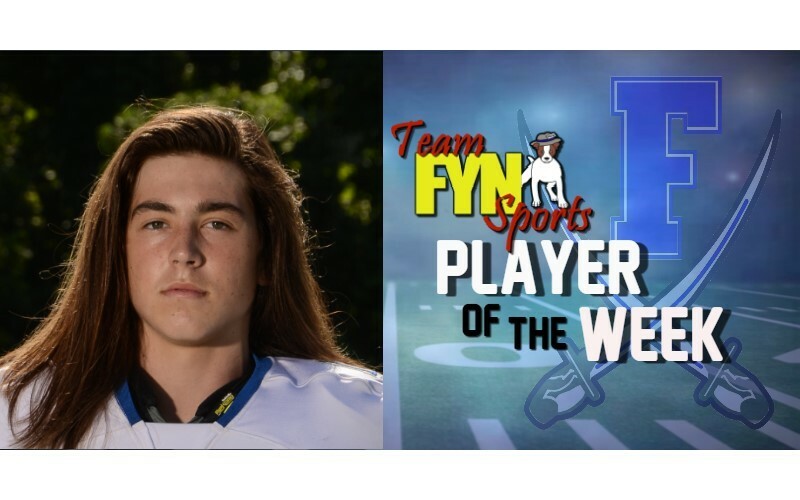 The Fannin Rebels came in to Friday’s game against the Spartans of Greater Atlanta Christian hyped up and ready to face the challenge. The Spartans are known as a powerhouse team that is both state and nationally ranked. These Spartans (6-0 in Region) generally put out several Division 1 athletes each year. None of this mattered to the Rebels as it was just another team on the schedule. 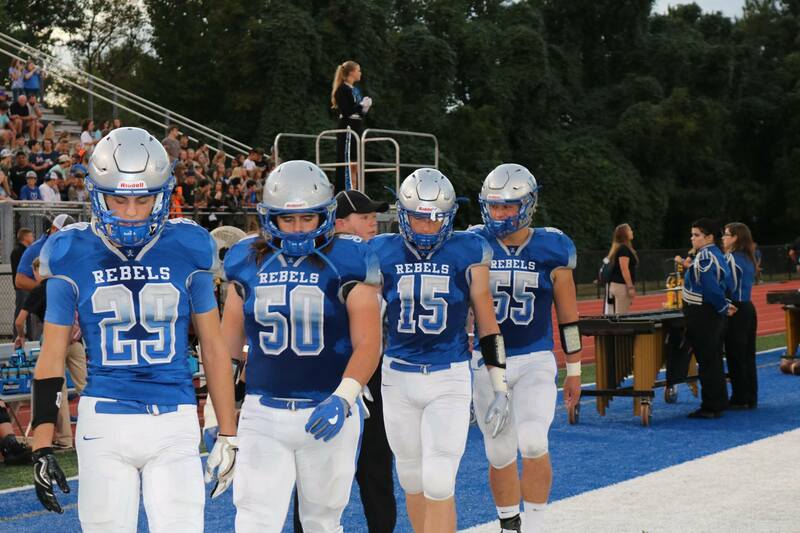 The Rebels held nothing back as they took the field for the last regular season game in the 2018 season. 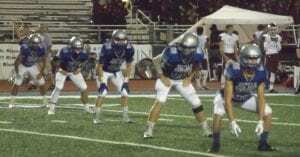 The Spartans took a 37-14 victory in the end to set the record for Fannin at 4-6 overall and 3-3 in 7-AAA. 1st year Head Coach Chad Cheatham has his guys battle every game this year and it was different in this one. Defensively the Rebels played well against the high powered Spartans. G.A.C. scored 14 in the 1st quarter, 16 in the 2nd and 7 in the third in the victory. 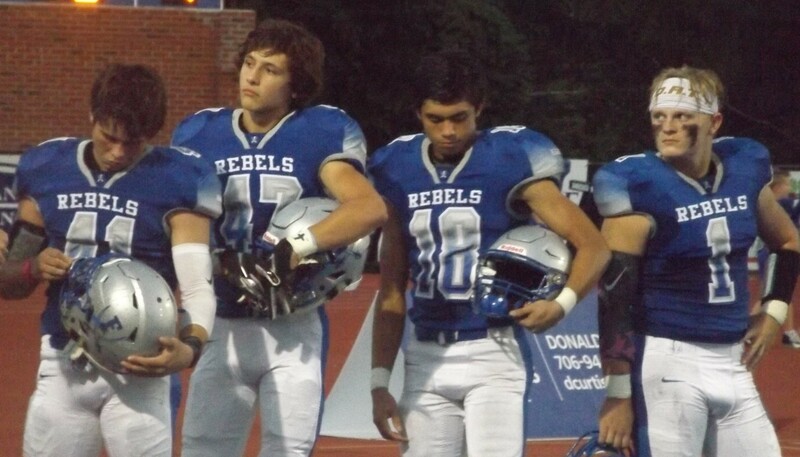 Leading the stats for the Rebel defense were Tate Heaton with 6 solo tackles, 3 assist and 5 pass break ups, Rhodes had 7 tackles, 3 assist and 1 tackle for loss, Micah O’Neal had 9 tackles and 3 assist. Other Rebels had a multiple tackle night as well. 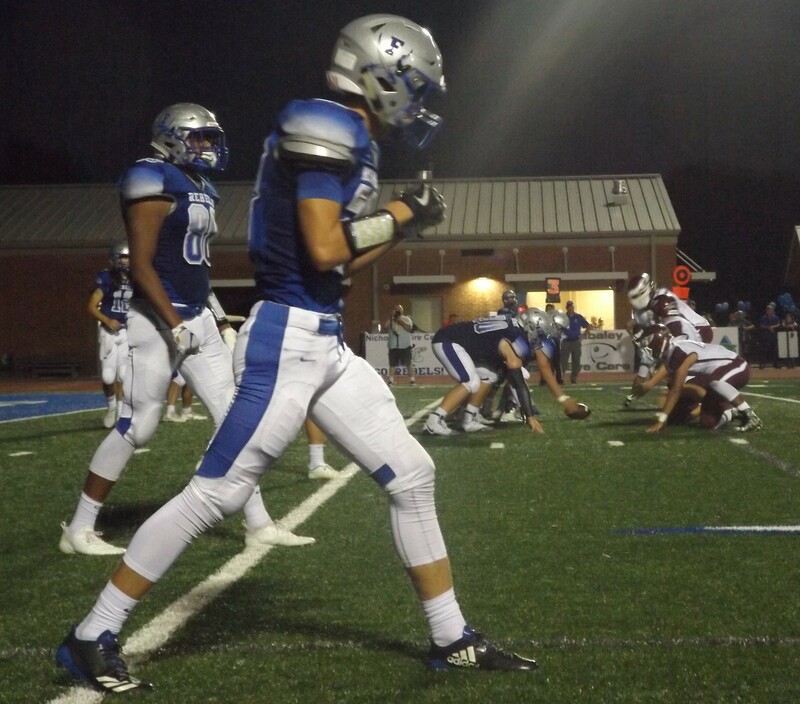 Luke Holloway and his offense struggled to work the ball up and down the field against a powerful Spartan defense. The Rebels still had a good night with Holloway putting up a 89 percent completion rate going 5 of 12 for 93 yards through the air. Jalen Ingram led receivers with 3 catches for 79 yards and a touchdown, Rushing on the night had the Rebels total 95 yards on the ground. Holloway carried the ball 5 times for 20 yards. Leading all ball carriers was Tim Garland. Garland had 11 touches for 69 yards and a touchdown. 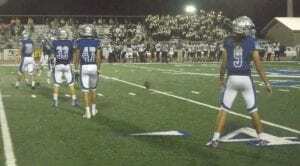 The Rebels had 2 fourth quarter touchdowns in the 37-14 defeat at the hands of the Spartans. 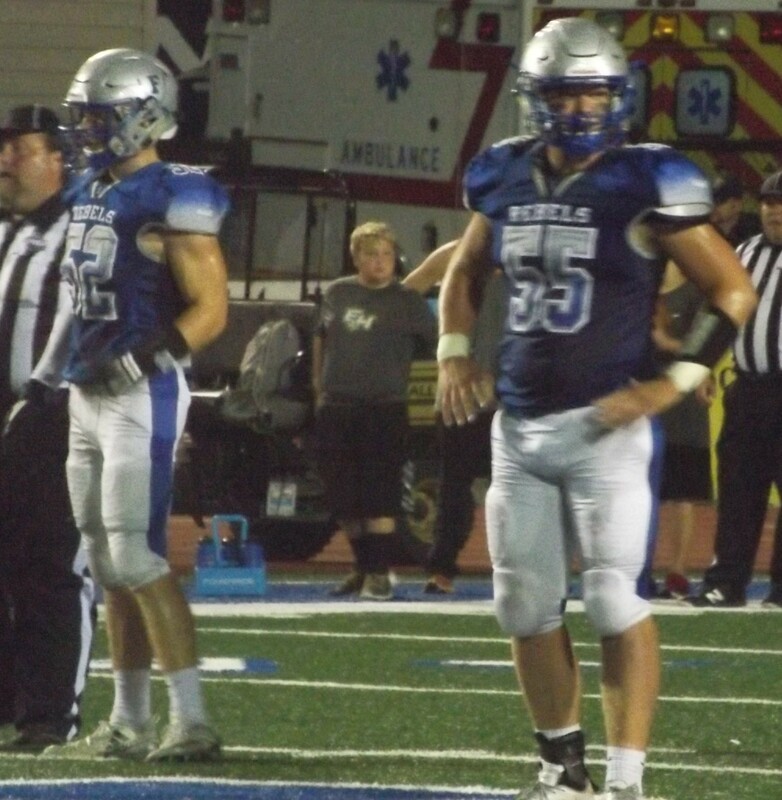 With the 2018 regular season officially over, the Rebels turn their focus the AAA state Playoffs. Making the AAA playoffs for the first time in school history, Coach Cheatham and his Rebels face the #1 seed Calhoun Yellow Jackets. 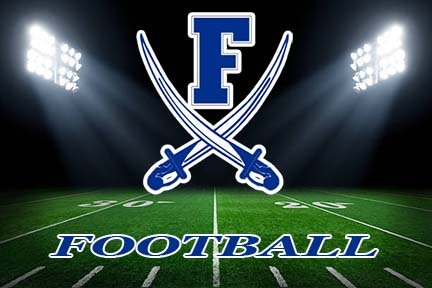 Fannin will travel to Calhoun this Friday for a 7:30 kick off at the home of the Yellow Jackets. GO REBELS!! Next Article » HSBR Doubles the Love with a special spay/neuter voucher in November! 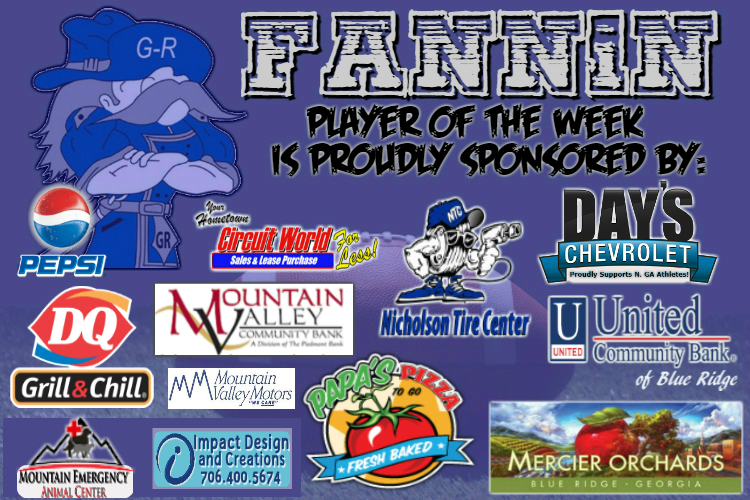 Fannin County High School Rebels took on the East Hall High School Vikings for the second regional home game of the season. The Rebels beat the Vikings 59-36. 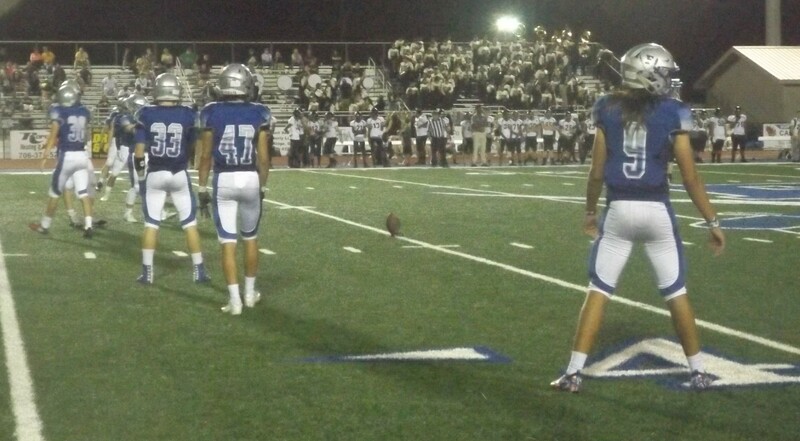 After the coin toss, Rebels’ 32 Treylyn Owensby returned the ball to their own 37-yard line. 12 Luke Holloway had a 13-yard connection to 35 Will Mosley and the Rebels found themselves at midfield. Owensby with an 18-yard carry put the Rebels in Vikings territory. Holloway connected to 88 Jalen Ingram for a touchdown. Sarah Sosebee with the extra point put 7 on the scoreboard for the Rebels. Vikings received the kickoff but was only able to return it to their own 33-yard line. 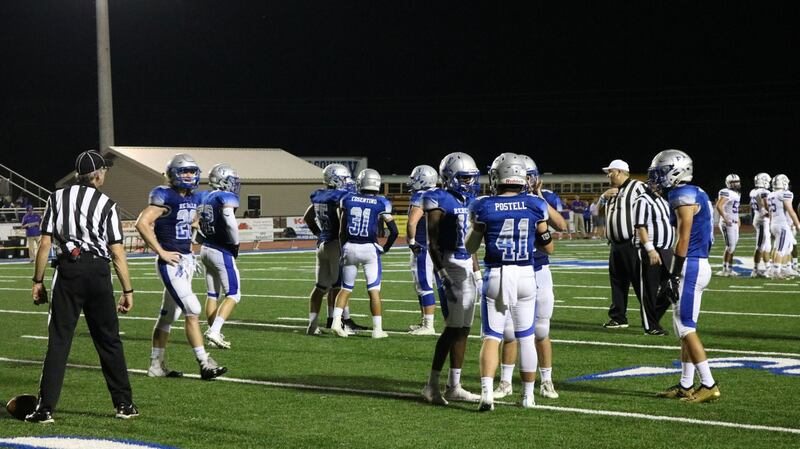 Vikings go three and out and were forced to punt, and Rebels’ 15 Chandler Kendall made about a 40-yard punt return giving the Rebels great field position in Viking territory. Rebels took over at Vikings 41-yard line. Owensby with three carries for 21-yards and Mosley with 5-yards put the Rebels in the Vikings red zone at the 15-yard line. Mosley with the carry for a 15-yard touchdown and with Sosebee’s extra point the Rebels scored 14-0 with 5:42 left in the 1st quarter. Rebels’ 38 Alex White attempted an onside kick, but the Vikings recovered it at their own 49-yard line. Vikings made quick work of moving into Rebel territory and found themselves 2nd and 10 at the Rebels 13-yard line. The Vikings got the touchdown in the next play and attempted the extra point, but it was no good, 14-6 Rebels. Rebels’ Kendall with the 20-yard kickoff return up the middle put them on their own 38-yard line with 3:57 left in the 1st quarter. On the next play, Owensby was tripped, and he fumbled the ball. Vikings recovered the ball on the 43-yard line. Vikings gained 13-yards putting them at the Rebels 44-yard line. The Vikings connected a long pass and found themselves in the Rebels red zone on the 14-yard line. With the end zone in sight, the Vikings attempted a pass for a touchdown, but Kendall intercepted the ball and a 6-yard return. Rebels took over at their own 20-yard line. Owensby with the carry for 13-yards before the buzzer sounded for the end of the 1st quarter. At the start of the 2nd quarter, Rebels were in possession on the 33-yard line. Mosley with an 18-yard gain put the Rebels on the Vikings 49-yard line. Holloway handed off to Owensby for a 59-yard touchdown. Sosebee completed her third extra point for the night, 21-6 Rebels. Vikings answered the Rebels touchdown with a 30-yard kickoff return. Vikings offense moved downfield 43-yards and found themselves on Rebels 20-yard line. From there, the Vikings would find themselves in the end zone for a touchdown. The Vikings executed the 2-point conversion making the score 21-14 Rebels. Rebels’ Mosley with the 19-yard kickoff return put the Rebels on the 49-yard line. Rebels quickly crossed the 50 and found themselves at Vikings 42-yard line. Rebels pushed forward another 6-yards to the 36-yard line. On the next play, Mosley fumbled on the carry and the Vikings recovered the ball. Vikings took over at their own 11-yard line. Mosley sacked the quarterback for a loss of 9-yards. Vikings made it to the 19-yard line before the Rebels defense forced them to punt. The Rebels had great field position at Vikings 42-yard line. Owensby rushed for another 12-yards to Vikings 30-yard line. The false start on the Vikings would give the Rebels another 5-yards. 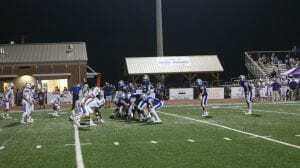 The Rebels gained another 7-yards and in the very next play, Holloway connected with Owensby for a 17-yard touchdown. Sosebee with the extra point lit up the scoreboard 28-14 with 2:29 left in the first half. Vikings received the kickoff and returned to their own 27-yard line. On the third down, the Vikings broke away for a 26-yard gain and found themselves at the Rebels 47-yard line. A Vikings pass completion now had them in the Rebels red zone at the 15-yard line. After a short gain, the Vikings gained another 13-yards for a touchdown and the extra point, pulling up the score 28-21 Rebels. Kendall with a 30-yard return on the kick with 14.6 seconds left on the clock. The next play, Holloway connected with Ingram for a 41-yard touchdown pass. Sosebee with the extra point made it 35-21 Rebels. With 6.1 seconds left on the clock, Rebels recovered on an onside kick. In the very next play, Holloway immediately connected to Kendall for another touchdown. Sosebee’s extra point would send the Rebels into the locker room at halftime up 42-21. Vikings started second half in midfield knowing they needed to make something happen to get back into the game. That’s exactly what they did in the next two plays as the Vikings found themselves in Rebels red zone on the 5-yard line. One the very next play, the Vikings scored a touchdown, along with the extra point, coming up 42-28 Rebels. Owensby had a 12-yard kickoff return. Rebels were able to move the ball to their own 45-yard line. A flag on the Vikings moved the ball 5 more yards for the Rebels. A 30-yard gain by Mosley put the Rebels on the Vikings 20-yard line. After a short gain, the Rebels fumbled, and the Vikings recovered the ball. The Vikings were now in the back deep on their own 2-yard line having to run the play out of their own end zone. Rebels defense pushed them back and made it 2nd and 11 from the 1-yard line. On the 4th down, the Vikings attempted to pass out of their own end zone, but 52 Micah O’Neal made the interception. Rebels offense found themselves on the Vikings 8-yard line. On the next play, Owensby picked up 6 yards. Mosley tacked on another yard and Owensby finished it off with the 1-yard touchdown rush. 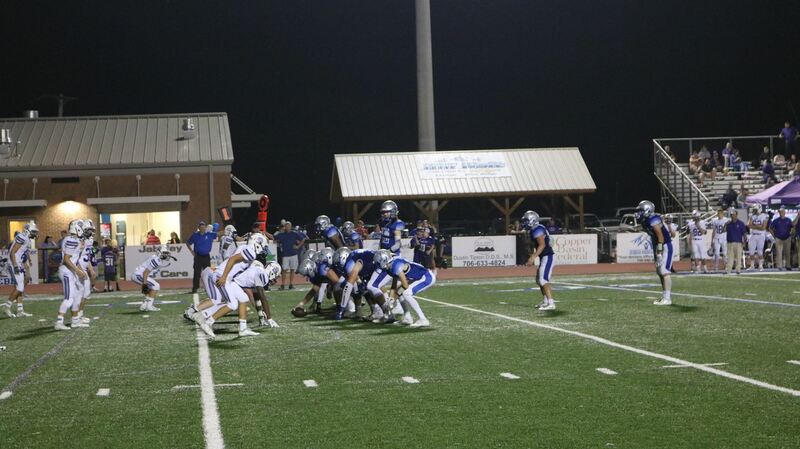 The extra point would make Sosebee 7 for 7 on the night, 49-28 Rebels. Vikings would start on their own 17-yard line. On the very next play, Rebels’ 47 Tate Heaton snagged an interception. Rebels offense would start on the Vikings the 37-yard line. Owensby with a 35-yard gain put the Rebels on the 2-yard line. Mosley finished the drive off with a 2-yard touchdown. Sosebee went 8 for 8 with the extra point and the Rebels added another 7 on the board, 56-28 with 1:46 left in the 3rd quarter. White with a deep kick into the Vikings end zone would bring the ball out to the 20-yard line. On the very next play, 41 Matthew Postell would come up with another interception. Rebels offense took over on the Vikings 19-yard line. Rebels would not be able to pick up another first down. So, on the 4th down, Rebels opted for a field goal and White’s kick from 33-yards out was good adding three more to the scoreboard extending the Rebels lead 59-28. Vikings would start on the 39-yard line with 30 seconds left in the 3rd quarter. Vikings quarterback would put it in the air one more time only to have it intercepted by Mosley. Rebels took over at 37-yard line before the sound of the buzzer. At the start of the 4th quarter, Vikings defense attempted to stop the Rebels from moving the ball. Postell picked up 2-yards for the Rebels. Holloway connected to 48 Logan Dewitt for a 9-yard gain. A false start on the Rebels moved them back 5-yards bringing up 4th down. The Rebels were unsuccessful on a fourth down attempt, turning the ball over to the Vikings. Vikings took over at their own 41-yard line with 9:10 left in the game. Over the next couple of plays, the Vikings gained 30-yards and found themselves on Rebels 29-yard line. In the very next play, Vikings quarterback completed a 29-yard pass for a touchdown. 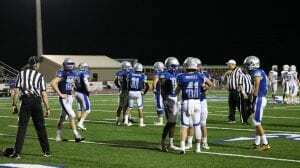 The Vikings were successful with a two-point conversion changing the scoreboard 59-36 Rebels. With 3:40 left to play in the game, the Vikings attempted an onside kick which Kendall recovered. Rebels started on their own 46-yard line and was content with running down the clock. Rebels defeated the Vikings 59-36 in their second home 3A-Region 7 game. 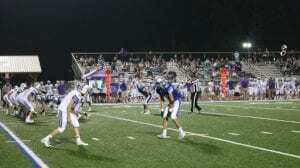 Rebels offense kept the ball moving as Rebel fans saw touchdowns from Treylyn Owensby (3), Jalen Ingram (2), Will Mosley (2), and Chandler Kendall (1) along with a 33-yard field goal by Alex White would give the Rebels a victory of 59-36 over the Vikings. The Rebels defensive pressure on the Vikings quarterback caused several interceptions. The Rebels punt return and kickoff return always had the Rebels in good field position, which they capitalized on all night long. Rebels travel next week to take on North Hall High School at 7:30pm. North Hall is coming off a bye week and is 1 and 1 in the region, winning 61-6 over Cherokee Bluff and losing 21-0 to Greater Atlanta Christian. Come out and support the Rebels as they play their 3rd regional game. Freshman Class Kinsley Sullivan and Austin Garland. Sophomore Class Parker Peugh and Mason Rice, Chanley Watson and Micah O’Neal. 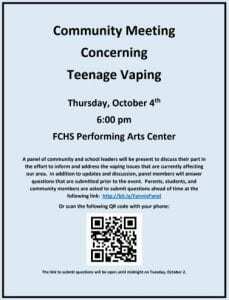 Junior Class Hannah Cruse and Jade White, Amber York and Grant Sullivan, Hannah Dickey and Andy Lim, Reagan Henderson and Tate Henderson, Cassandra Stepp and Steven Stacy, Kelsey Walton and Reid Honeycutt, Angelina Young and Jade Underwood. The final candidates for Homecoming King and Queen are Hannah Dickey and Andy Lim, Reagan Henderson and Tate Henderson, Cassandra Stepp and Steven Stacy, Kelsey Walton and Reid Honeycutt, Angelina Young and Jade Underwood. 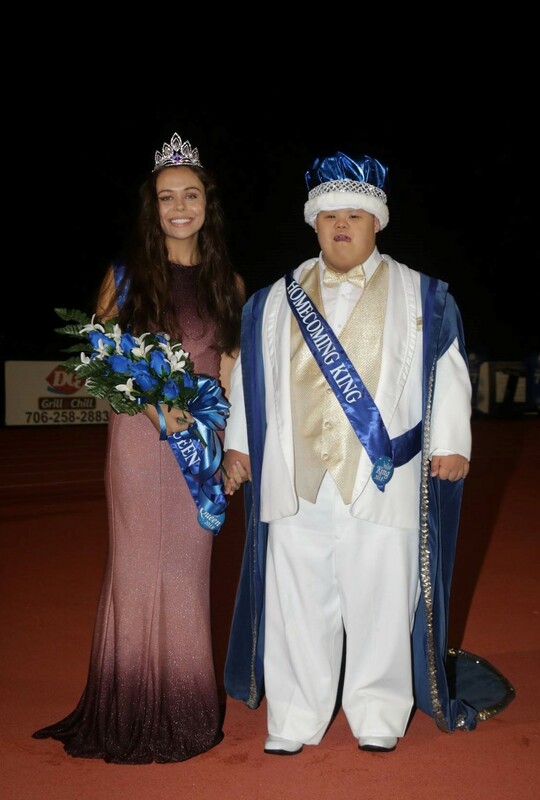 Fannin County High School’s elected Homecoming King and Queen are Andy Lim and Kelsey Walton. Homecoming King Andy Lim is the son of Tech and Hoa Lee Lim. He participates in Special Olympics, received the Green Hand Award in Future Farmers of America (FFA), as well as the FFA Chapter Degree Award as he was voted “Most Likely to Brighten Your Day” senior superlative. Andy’s post-graduation plans include becoming a Hibachi chef. Andy enjoys fishing, playing on his iPad and listening to music. Homecoming Queen Kelsey Walton is the daughter of Ryan and Tonya Walton. Kelsey received awards for Spanish one, two, and three. Kelsey’s post-graduation plans include traveling as much as possible, attending Georgia Southern to pursue a degree in business, obtaining certifications in languages and become a Medical Interpreter or an International Business Interpreter. She enjoys reading, traveling, and spending time with her close friends. Last years reigning Homecoming Queen, Cassidy Graham, attended to pass the crown down unto Kelsey Watson. A big congratulations to this year’s contestants and winners Andy Lim and Kelsey Walton. The Fannin County High School Rebels take on the Cherokee Bluff Bears for their first regional home game. Rebels brought high energy into the first half and executed their plays during the 4th quarter, beating the Bears 45-7. After the coin toss, the Rebels’ #32 Treylyn Owensby with the kickoff return to their own 34-yard line. From there, the Rebels set the tone of the game as they scored three touchdowns. 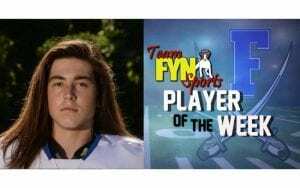 Luke Holloway handed off to Owensby for a 30-yard touchdown, Holloway connected with Chandler Kendall for a 37-yard touchdown, and Holloway passed to Jalen Ingram for a 32-yard touchdown. Sarah Sosebee with the extra 3 points gave the Rebels the lead of 21-0. Rebels defense dominated the first quarter as they kept the Bears off the scoreboard. Every time it looked as though the Bears would gain a few yards, they would get flagged for ‘false start’ and ‘off sides’ which pushed them back. It was apparent that the Rebels had established an early lead that would put too much pressure on the Bears to come back later in the game. Second quarter began much like the first, with the Rebels adding to their lead. Rebels moved the pigskin downfield with Kendall 24-yards, Holloway 6-yards, and Owensby 26-yards and the touchdown. Sosebee with the extra point brings up the score 28-0 with 8:05 left in the 1st half. With less than five minutes left in the 1st half, the Bears execute a trick play (triple reverse) and find themselves at the Rebels 6-yard line. 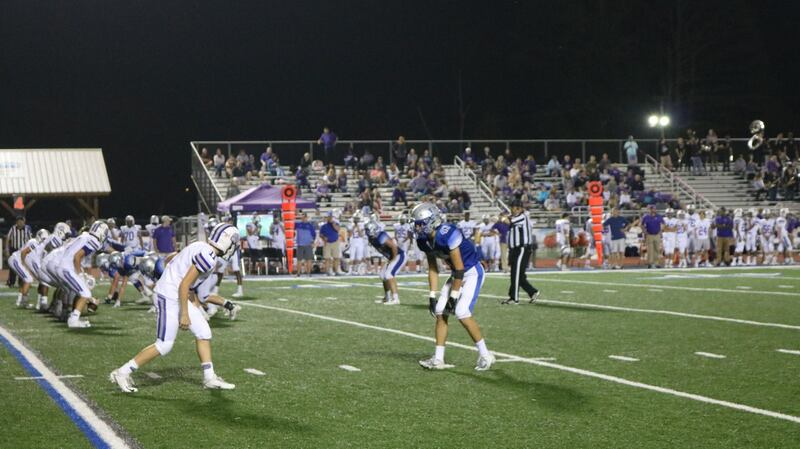 From there, the Bears took on Rebels defense before lighting up the scoreboard the only time that night, 28-7. After their touchdown, the Bears seemed to have caught a second-wind, or maybe the Rebels backed off a little, allowing the Bears to get into the red zone on Rebels 19-yard line. The momentum of the game may have been turning the Bears way, but that same moment was short lived when the Bears had a turnover. The Rebels take over at their own 19-yard line with 38 seconds left in the 1st half. The Bears intercepted Holloways attempt to connect with Ingram before the buzzer sound ended the 1st half with the Rebels on top, 28-7. It was obvious after the Rebels first half, Head Coach Chad Cheatham needed to go into the locker room and maybe remind the Rebels that they had not yet won the game and they needed to finish the game. In the 3rd quarter, the Bears received the kickoff but weren’t successful in moving downfield. The Bears made it to their own 35-yard line before being pushed back 5-yards for a flag on the play. This caused the Bears to have to punt. With Kendall’s 20-yard punt return, the Rebels start on their own 44-yard line. The Rebels were unable to get anything going in that drive and were forced to punt that would give the Bears the ball on their own 34-yard line. In the 3rd quarter, the Rebels defense stopped any hope the Bears had of getting into the end zone. The Bears were forced to punt and 44-yard punt, the Rebels were put on their own 1-yard line. Basically, having to run 1st down out of their own end zone, Holloway handed off to Owensby and gained 26-yards giving the Rebels some breathing room as the sound of the buzzer ended the quarter. Rebels start the 4th quarter on their own 27-yard line and only 12 minutes away from winning the first region game of the season. The Rebels left it all on the field as they made quick work of crossing the 50-yard line into Bears territory. Holloway handed off to 35 Will Mosley for a 52-yard touchdown. Sosebee was on fire as she went 5 for 5 lighting up the scoreboard 35-7. The Rebels defense did not allow the Bears to get any positive yards. Mason Rhodes and Jackson Weeks kept the Bears at the 31-yard line for the 2nd and 3rd down. Rhodes tackled a Bear at their own 21-yard line for a loss of yards bringing up a 4th down. 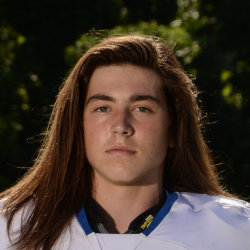 Bears backed the punt, 31 Campbell Constentino blocked the punt and 50 Matthew Lewis made the recovery at the Bears 11-yard line. A Rebels drive to their own 9-yard line, and on the 4th down and elected to go for a 21-yard field goal attempt. 38 Alex White with a 21-yard field goal giving the Rebels 38-7 with 7:39 left in the game. 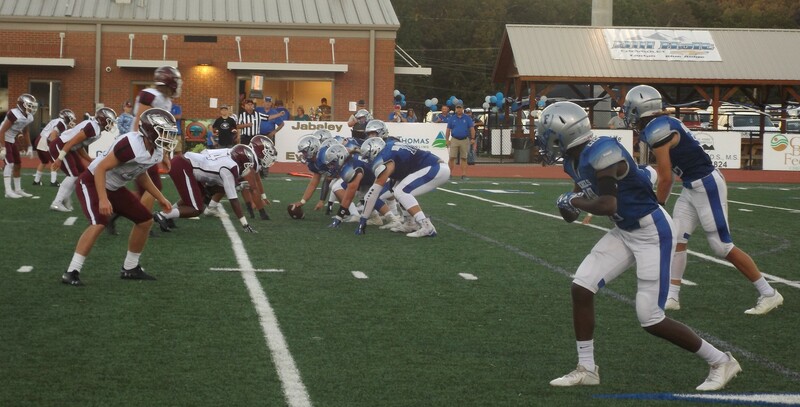 The Bears received the kickoff and attempted to make their way into Rebel territory but at this point there was no moving the ball past Rebels defense. With 3:51 left in the game, the Bears found themselves 4th and 8 at their own 43-yard line. 83 Dalton Ross tackled a Bear for a loss at their own 36-yard line for the turnover on downs. With a little less than 3:30 left in the game, Rebels took over at their own 36-yard line. Owensby gained 25-yards, Matthew Postell gained another 7-yards, and Norton rushed the last 7-yards for the touchdown. Sosebee went for a successful 6 for 6 and the Rebels broke the scoreboard 45-7. The Bears received the kickoff with 2:57 left in the game. 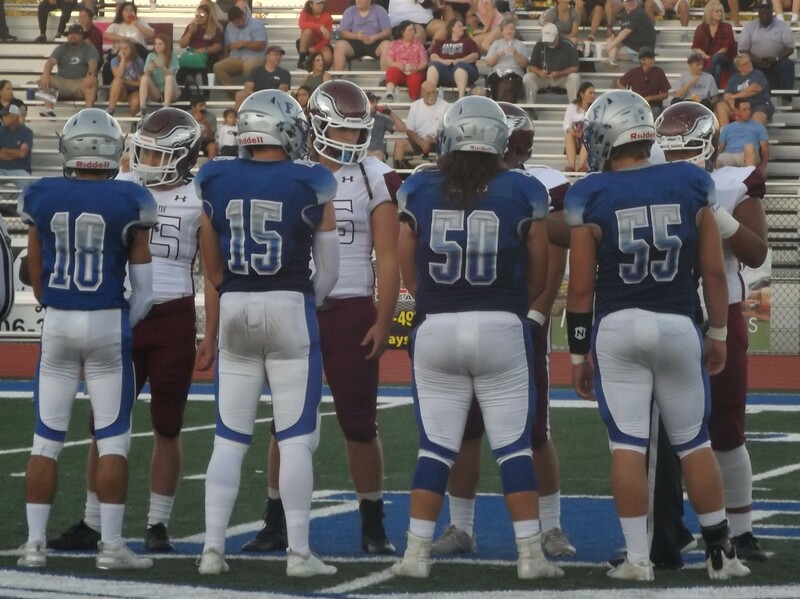 The Rebels kept them in their own territory for the last two minutes and the buzzard sounded ending the game leaving the Bears at the 40-yard line. The Rebels played a great game as many players put their hands on the ball and defense made some great plays—like Constentino’s block on the punt and Lewis’s recovery. The Rebels win their first regional game against the Bears. Let’s see who comes out on top during tonight’s game. The Rebels will be playing East Hall High School at home at 7:30! It’s alumni night along with Fannin Park and Rec so come out and support all the Rebels dating back to the 80s! 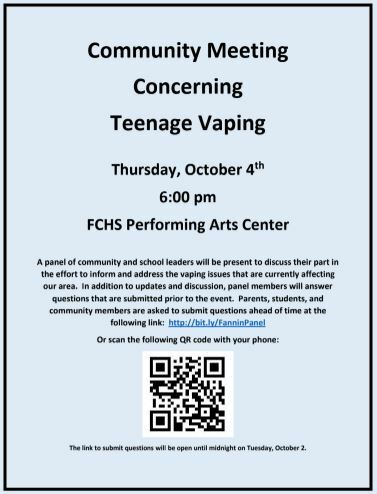 Fannin County High School is hosting a meeting concerning teen vaping on Thursday, October 4th at 6:00pm at the Performing Arts Center.